I found this recipe on the internet but it stated that it came from Julia Child. It was slightly different so I incorporated both. I would hold off on adding the cream until you see the consistency in the mousse and make sure the stock is really simmering before you place the scoop in. In a saucepan, bring water to a boil with the salt and butter. 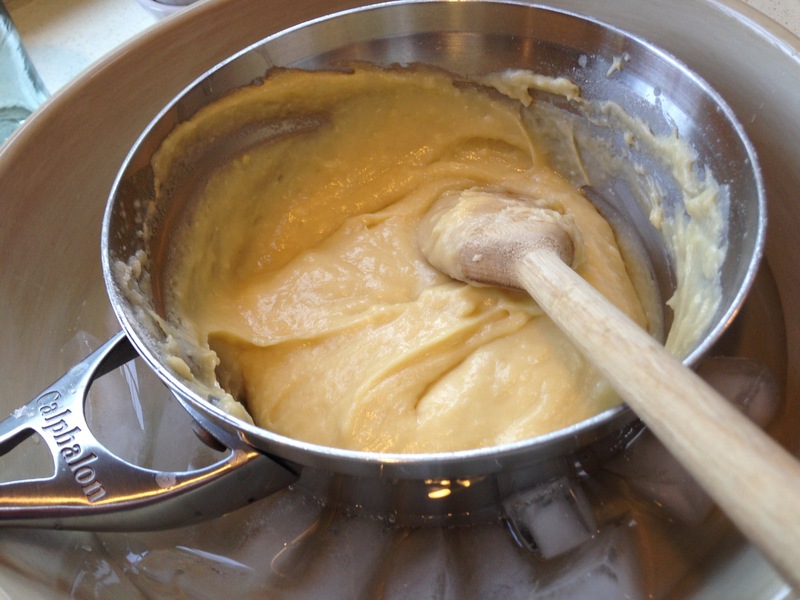 A soon as the butter melts remove the pan from heat and add all the flour at once a beat with a wooden spoon. Then beat over medium high heat several minutes until it forms a mass. Remove from the heat and one at a time beat in the eggs, then the egg whites. Set the saucepan over a bowl of ice water to cool down. Leave it there while you prepare the fish. Make sure it well chilled before combining the two. Cook the butter and flour together slowly about 2 minutes, not letting it turn color. Remove from heat and beat in the boiling milk, oiling stock and salt and pepper. Bring to a boil and cook for 1 minutes more. Sauce will be very thick. Reduce the heat and add very slowly add the cream. Adjust salt and pepper and add lemon to taste. Cut chilled fish into 1 inch pieces and place in a food processor along with the chilled pate a choux, salt pepper and 4 tablespoons of cream. Process for 30 seconds and stop and scrape the sides with a spatula. 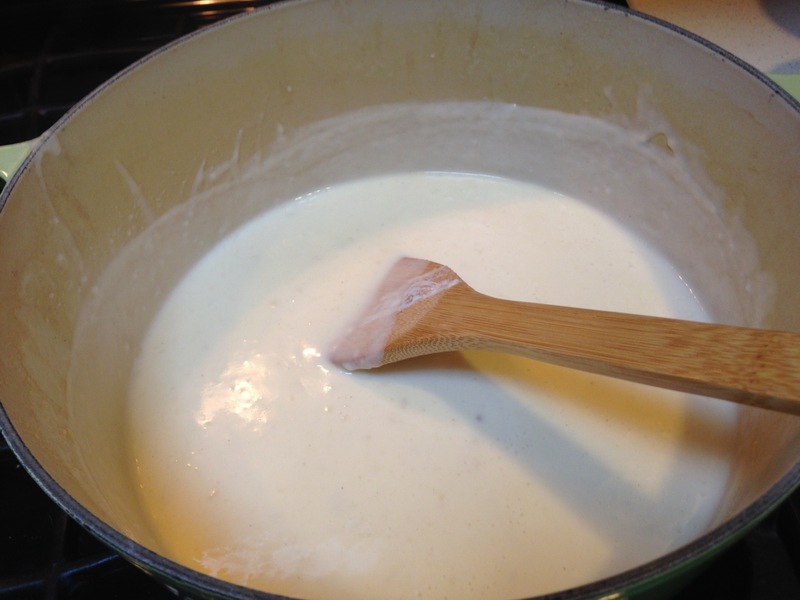 If mixture is too stiff add more cream however it should hold its shape. Using a 12 inch skillet with high sides pour in the stock. It should be at least 2 inches deep. 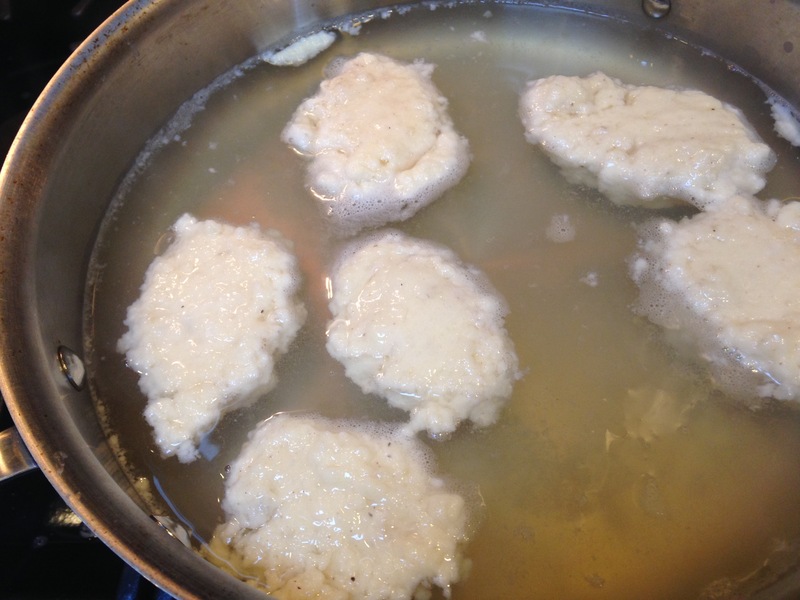 Bring to a simmer, don’t boil or you’ll overcook the quenelles. You can test it by dropping a dollop in the stock and taste. Blend in the truffle or nutmeg. Using a wet spoon dip it in the mixture to create a rounded mass. Using the back of another wet spoon to smooth out and then slip it under it to loosen it up and drop in the liquid. Poach uncovered for 15 to 20 minutes. They are done when they double in size and turn over quickly. Remove with a slotted spoon onto a rack or towel. To assemble, pour 1/4 inch of the white wine sauce in a 13 by 9 baking dish. Arrange the drained quenelles on top, then spoon the rest of the white wine sauce over each one and sprinkle with the cheese and dot with the butter. About 15 minutes before serving place in the oven 350f for 10 minutes or heated through. Julia Child’s recipe called for the broiler so I did both in order to get the top a little golden.